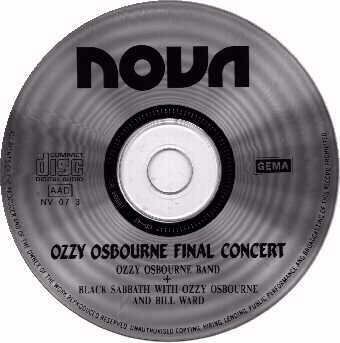 Comments: The brother of "Ozzy Meets The Priest" - that's how you can call this triple CD. 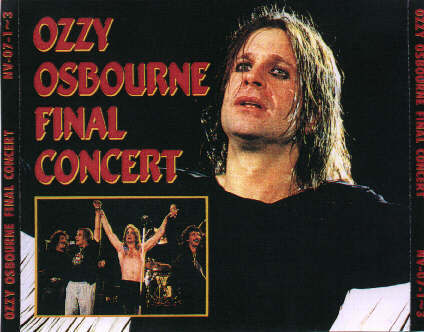 As you know Sabbath did two concerts with Rob Halford at Costa Mesa back in 1992 and while "Ozzy Meets The Priest" the second show contains, "Final Concerts" includes the first show with Rob Halford. Please mark the different track list!!! 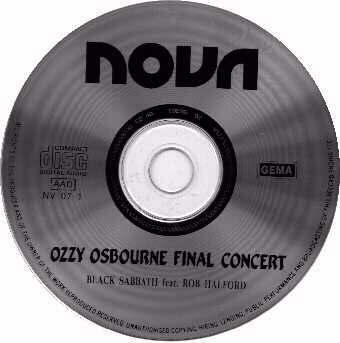 Also on this CD can be found a complete Ozzy Osbourne concert plus the legendary Re-Union jam. Soundquality is ok. 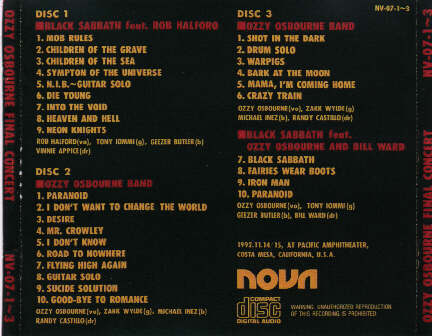 Both recordings were taken from the widely available video recordings. Place of manufacture not really known (maybe Japan). Released in 1993!